Video 8 transfer to digital. We are at present in the process of a video 8 transfer to digital conversion job. The job Involves transferring 26 video 8 tapes to AVI for the PC platform. All tapes are first checked to make sure that there are no twists in the tape and that the cassette mechanism is not jammed in any way. It is always recommended that the tape heads are cleaned on the play back machine on a regular bases. The fequencey of cleaning depends very much on the tapes and how dirty they are. Method. Video 8 transfer to digital. Video 8 video tape comes in 3 formats. 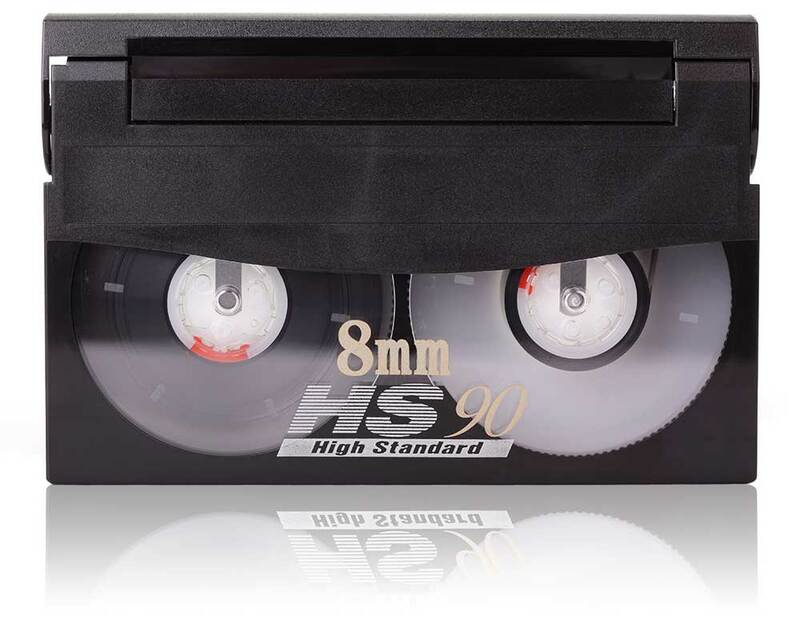 These include Video 8, Hi 8 and Digital 8 video tape. The first 2 of these formats are analog and the Digital 8 is not surprisely digital. Our transfer method is digital. Using Firewire connections between our video deck and computer with no quality loss. For PC. We use Sony Vegas or Adobe Premier capture software for our video 8 transfer to digital service. For Apple Mac users. We use Black magic design hardware. And Black Magic Media express software. Storage of your video files. External hard drive. The customer can supply an external hard drive for us to transfer the video files onto. Or we can buy one in for you. USB stick. Again the customer can provide a USB stick for storing the files or we can buy one in for you. Please remember that storage capacity is much lower on USB flash drives than on external hard drives. Video Image productions can also upload your video files to the cloud. Once the video is in the cloud we send you an email link so you can download your footage. All our video 8 transfer to digital conversions go through Time base correctors and 3D video filters. This helps stablise the picture and improve the colour information in the signal.